Art McCarthy speaks about how the "Lough Derg package" supports him through the three days and sustains him through the year. Fr Cathal Deery extends an invitation to this special one day retreat on Lough Derg for adults who have been affected by suicide. Christy Kenneally discusses this special one day retreat for adults which will take place on 24th September 2014 on Lough Derg. You don't always need a clear reason to come to Lough Derg as during the pilgrimage you can discover the reason why you needed to come. Prior Owen McEneaney speaks of Lough Derg as a "spiritual home" for many and invites viewers to "come as you are to a quiet place and rest a while"! 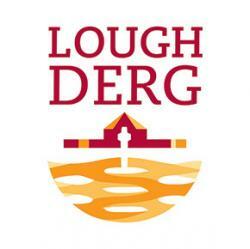 Malachi Cush sees Lough Derg not just in terms of the pilgrimage exercises but also in terms of bringing the sense of calm and peace from Lough Derg to his daily schedule. Jacob from Boston and Nicole from Florida found Lough Derg via Google and discovered even more when they arrived for their three days on the island. Nicola, Michael and Grainne from Donegal explain that they have undertaken the Lough Derg pilgrimage for their first time for their Dad Brendan. Fr Owen McEneaney speaks about his move from Monaghan to Lough Derg to take up the role of Prior to St Patrick’s Purgatory. Kathleen from Manchester explains that she was prompted to go to Lough Derg for first time after reading an article in Ireland's Own. In this bilingual interview Bishop Brendan Kelly reflects on the Lough Derg pilgrimage has deep roots in the Irish monastic tradition. Bishop Brendan Kelly affirms - as gaeilge - that God is with us in our hunger and poverty when we abstain and walk the pilgrim way. Mark and Martha from Longford share their pilgrim experience on Lough Derg over the course of three days which they undertook following a pre-marriage course. Charlie Glackin reflects on how Lough Derg is a place of spiritual strength for pilgrims and allows body and spirit to 'tune in' to each other. The Prior of Lough Derg, Richard Mohan, shares some personal insights and memories as he prepares to undertake the Lough Derg pilgrimage that he first undertook in 1961. Marie and Emmet share their experience of working at Lough Derg and how undertaking a pilgrimage gave them an insight into what other staff do for pilgrims. Fr Declan Shannon shares how the Lough Derg pilgrimage has its own special pace, which is very much about slowing down in body and spirit. Two brothers Frank and James from Dublin describe their hopes for children and fiancée on the second day of their Lough Derg pilgrimage. Tom Galway from Brisbane, Australia shares his memory of his 1956 pilgrimage and his sense of the quietness, love and respect which the island atmosphere commands.